Classe 11 Top Range Traditional Espresso Machine is redefining the human to machine experience. This new line of professional espresso equipment was inspired by the latest generation of smart phones; the user interface offers the barista a new emotional, perceptive and visual experience with elevated standards of user-friendliness. 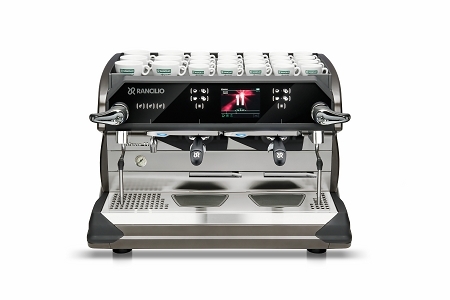 The Classe 11 features many cool features like Cool Touch Steam Wand, 4-Tea Hot Water Temperature Control for tea and infusions, Advanced Boiler Management (ABM.07), ergonomic handles and levers, LED Lights and optional Connect Online Management.